Your web traffic is vital to your business growth. This section will help you improve your web traffic. SEO-Friendly – Set the permalinks to use the title of the posts as the web address of your pages. Post Tags – Specify the keywords that you want search engines to index your article pages (posts) for. Categories – Add SEO-friendly categories for keeping your content organized and easy to find. Excerpts – Set descriptions for your posts that search engines will display in their search result pages. Images – add search-optimized titles to your images for better search engine results. Pinging – Set up your site to automatically notify other sites and directories the moment a new post is published on your site. As well as the built-in features of WordPress, there are various plugins for WordPress that improve SEO, increase user engagement and drive more traffic to your site. BuddyPress – Run a social network on WordPress. E-Newsletter – This plugin lets you send email newsletters, track results and manage subscribers from your WordPress dashboard. Disqus – use this plugin to power discussions and increases engagement on your site. Social Media Feather – Easily add powerful social sharing features to your website. Let’s take a look now at ways to improve your sales and generate leads and enquiries for your business. A proven strategy for getting visitors to subscribe is to provide users with valuable content and offer them free gifts or bonus items in exchange for their details. This can be a handy guide, checklists for handling finances, access to financial calculators, coupons, access to courses, contests, etc. A contact form provides an easy and simple way for prospective clients to get in touch with you. Contact forms also let visitors report issues, ask questions to specific departments, ask for a quote, give suggestions and more. A very popular contact form plugin is Contact Form 7. This plugin lets you create multiple contact forms to your pages and posts, customize the form and the email contents, add fields, and more. International languages, Ajax-powered submitting, CAPTCHA, and spam filtering is supported. Another feature you may want to consider is adding sections to your contact form so prospects can choose which topic they want to discuss. This ensures that contact form requests reach the right person. A map helps your visitors and clients find you. This plugin provides a free collection of 400+ calculators. You can embed these into your pages, posts, or sidebars using shortcodes. Internationalization is supported. This free plugin gives you a widget that shows up to 20 different stock quotes per portfolio. You can show as many portfolios as you want. With this plugin you can add custom stock tickers to any page, post, or sidebar using shortcodes. Custom Stock ticker offers a number of customizable features. Choose from built-in skins or customize these yourself. It’s easy to customize it so it matches your site. You can also add custom stocks to individual categories. Customize the appearance by changing colours, size, speed, text, and symbols, etc. This free plugin lets your users calculate indicative repayments online. It’s great for auto loans, property loans, or any other large loan. This plugin also contains an application form that sends a notification message to the email address you specify. It will display payment protection, calculate 12 to 60 months loans and create forms that can be placed in any page or post. 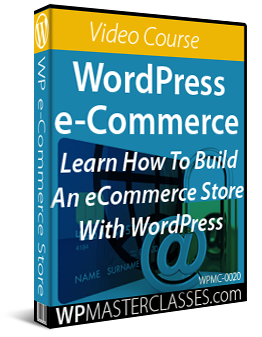 WP-Invoice is ideal for WordPress site owners with clients to bill. WP-Invoice lets you integrate billing into WordPress. You can send itemized invoices. It even allows you to set up recurring billing. It can be expanded through both free and premium add-ons that let you manage business, accept electronic signatures from clients, create PDF versions of invoices, provide quotes, create single-page checkout forms, and more. The plugin ties into your WordPress user management database to keep track of clients and their information, and integrates with payment processors like PayPal, Authorize.net, Stripe, and many others. The plugin gives you the ability to add custom payments and charges, create pre-defined line items and discounts, quickly view invoice status and progression, filter and find invoices, show invoice receipts and invoice history, create e-mail notification templates, display reports (collected vs uncollected invoices, 10 most valuable clients and top grossing line items), and more. This is a complete business management system that includes accounting management, invoicing, order management, help desk with ticketing management system, client relationship management and lots more. All In One Business Management Application supports international languages, is fully customizable and provides additional tools like document management, to do app, and more. This is a scalable business software that lets you manage and communicate with customers, track your company’s cash flow and net worth, send single-click payment reminders and payment confirmations, and lots more. iBilling Accounting and Billing Software lets you get paid faster by integrating with several payment gateways. To benefit the most from using WordPress, it’s best to choose a theme specifically for accounting businesses. Below is a list of some of the best themes themes available for accounting businesses. With these themes you can own a professional-looking accounting website within minutes. This premium theme for WordPress is a turn-key theme for accountants and accountancy firms. It’s responsive, has a drag-and-drop page-builder, offers several page templates, a custom menu feature, a content composer (which improves on the standard WordPress editor), a sidebar manager, auto-resized images, and a whole lot more. Accounting Pro can be customized using premium add-ons. Accountancy has a variety of built-in styles and layouts to make your accounting website look and feel professional. 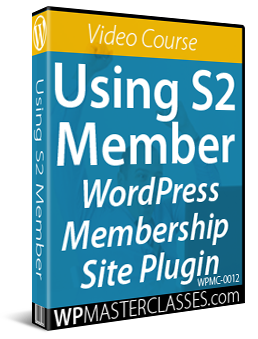 It includes a custom slider, a featured testimonial section, and more. It’s lightweight, search optimized, fast loading, and fully responsive. Accountancy Theme provides the features you need without bloating your theme. Free updates and 1 year of support is included in your purchase. This one includes a drag-and-drop builder that allows you to design your site any way you want. The theme also has unlimited sidebars and custom widgets, four different types of headers, a custom administration panel, different color schemes, custom slider, 3 blog types, and is responsive. It is a clean-looking, modern and fast-to-load theme. This premium theme was developed specifically for accounting services. Kathryn offers a slider, multiple layouts, multiple sidebars, many colors, is easy to use, search engine friendly, and is responsive. Although this theme could easily suit any profession you like, it builds a great looking accounting theme. It includes a license for the Soliloquy slider plugin and is a separate purchase from the Genesis Framework. This premium theme was created to exude professionalism within the accounting industry. Every color, layout element, icon, menu item, page structure, call-to-action, etc., is specifically designed to help make your accounting business site look professional without looking dull. It’s a turn-key installation but you can still modify it if you want. It’s responsive (mobile-friendly) and includes pages for your accounting services, contact form section with consultation requests (downloadable as CSV), testimonials, and a blog. WP Advocate is a corporate theme specifically designed for professionals such as accountants and attorneys. You can use the theme’s bundled images or upload your own. It also includes a custom post type for employee profiles and can also integrate with BeSpoke profile templates. It’s clean-looking and fast-loading. This theme is one of the most flexible themes in Elegant Themes‘ entire collection of WordPress themes. You can create a unique, professional site using its page builder or beautiful pre-made layouts. You can modify your layout to your heart’s content. The builder transforms web elements into visual building blocks, allowing you to understand and edit the structure of their pages without editing a single line of code. It comes with 40 content modules that you can drag and drop anywhere you want. These modules include accordion, blog, circle counter, email optin, image, login, person, shop, testimonial, text, fullwidth code, fullwidth menu, fullwidth post title, and more.. It is responsive and fully customizable. Themes start at $69 per year and includes full access to all beautifully-designed themes. This theme was specifically built to create great-looking corporate websites. This theme has a page-based home page design with a eye-catching slider, blog design, 6 different color schemes, multiple page templates which include contact pages, blog feeds, sitemaps, search page, gallery page, and more. 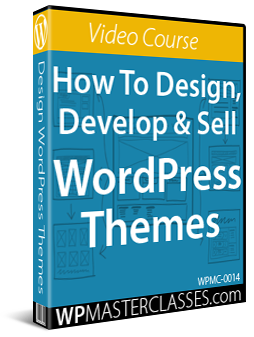 Themes start at $69 per year and includes access to over 80 beautifully-designed themes. This premium theme for WordPress was developed specifically to help those in the financial industry to build trust with a clean business design. It’s ideal for businesses that provide services such as investing or tax advice. Adviser includes a recruitment page with hiring announcements and where to send applications. It also includes a lease calculator. It includes multiple shortcodes and widgets, and includes the drag-and-drop visual composer. This premium theme for WordPress was built specifically for financial companies, tax and finance advisors, and those offering tax assistance. This theme is designed to show your services in a professional way to help build your professional reputation. It comes with different blog styles, uses a drag-and-drop visual composer, includes a shortcode builder, the Revolution Slider, and additional custom shortcodes. This premium theme was specifically developed for businesses that provide any type of financial service including tax help, consulting, finance, insurance, corporate, loans, accounting, and more. 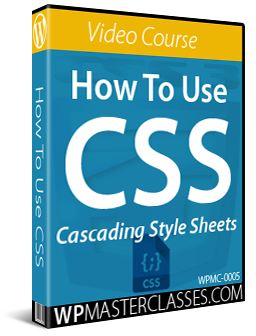 The theme includes a custom CMSMasters Visual Content Composer plugin, around one hundred shortcodes that includes charts and financial content, a custom drag-and-drop composer, 2 premium sliders, page options, color management, animated elements, and lots more. Avada is a fully responsive and versatile multipurpose theme that lets you easily build, configure, and run any kind of website you want without touching code, including a website for an accounting or finance-related organization. Hopefully, this guide has helped you learn WordPress plugins and themes that can improve search engine optimization, increase user engagement and increase web traffic generation.